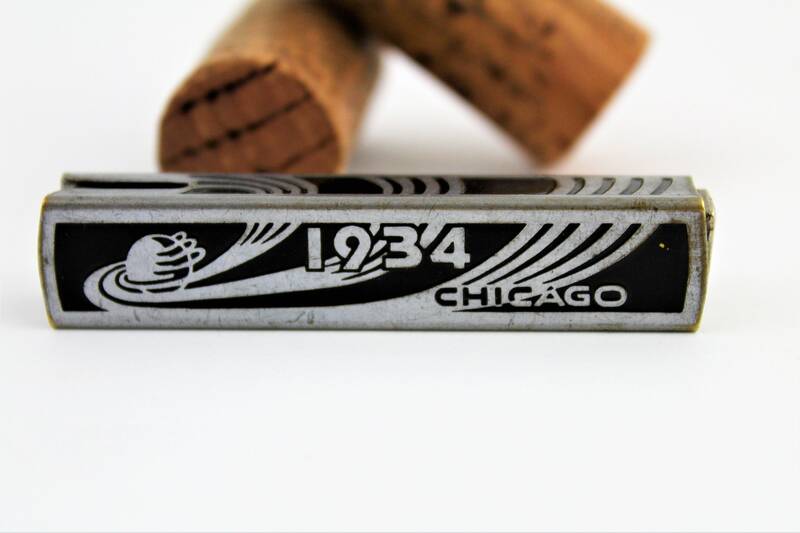 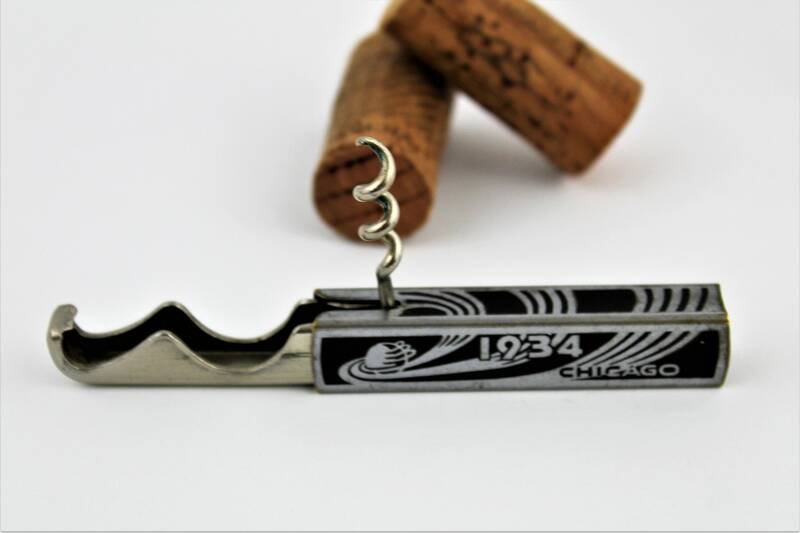 We have for sale a Vintage 1934 Chicago World Fair slider Bottle Opener with Corkscrew. 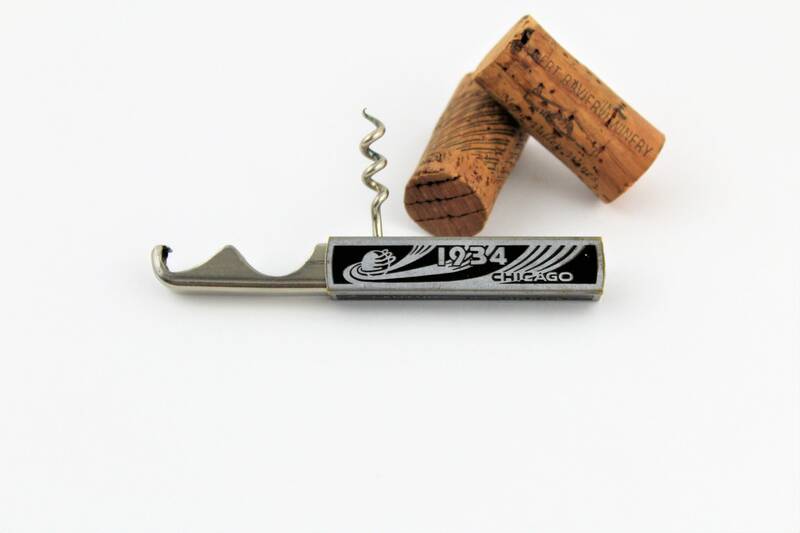 Wonderful souvenir opener for the 1934 Chicago World Fair. 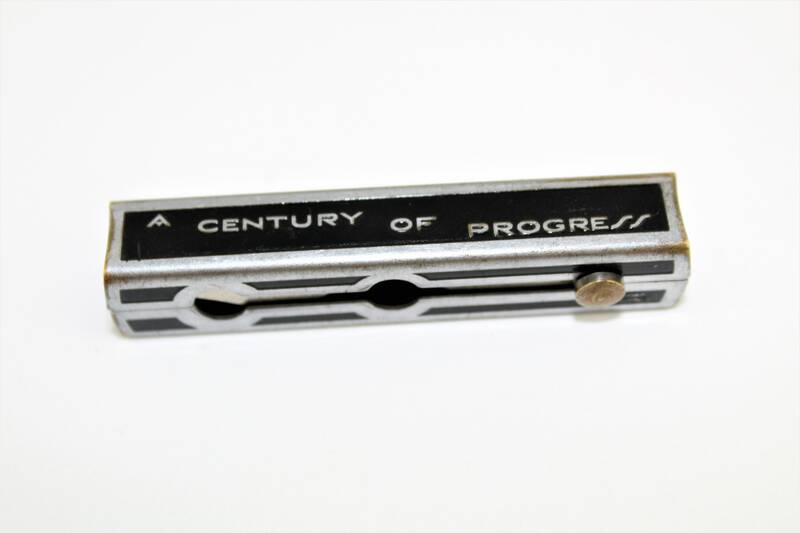 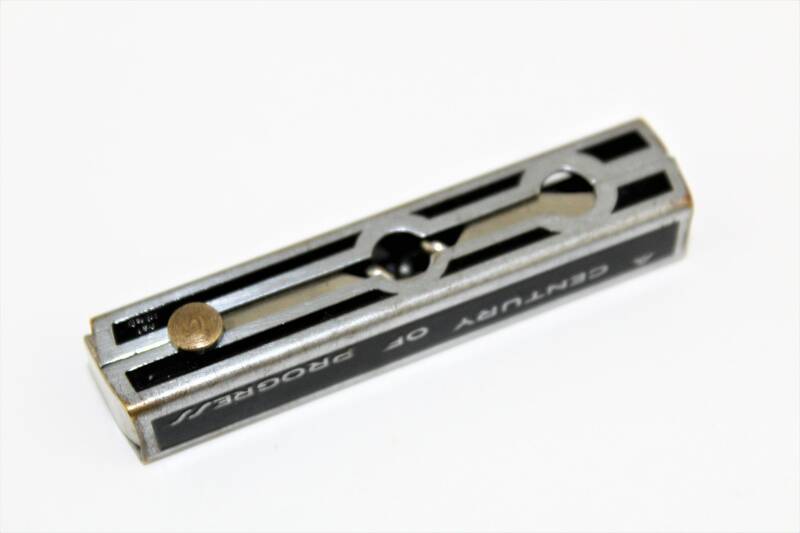 These are known as Slide Out Corkscrews originally invented by Edmund Jensen in Germany in 1892 this updated version believed to be an Albert Andrews USA invention has Pat Ped (Patent Pending) stamped on the back. 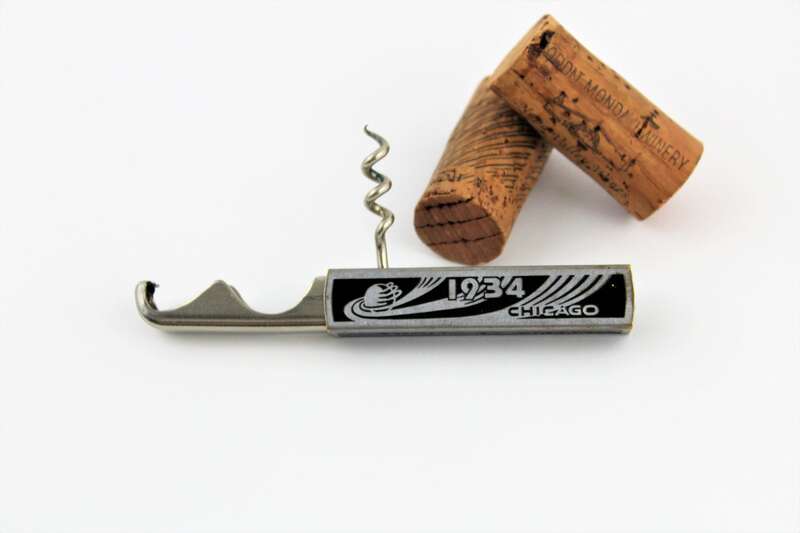 To operate there is a brass button on the back push it in and slide the button toward the first hole this reveals the bottle opener, push to the second hole to reveal the fold out corkscrew. 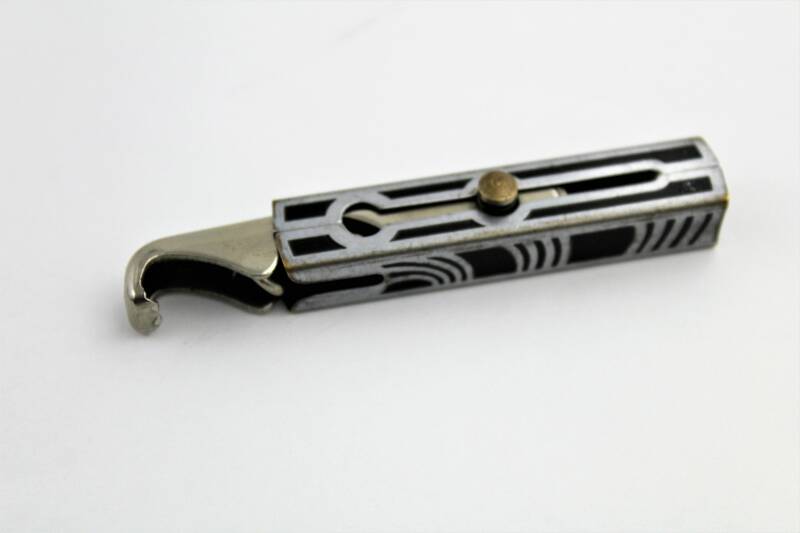 Made of plated brass case and steel slide out opener. 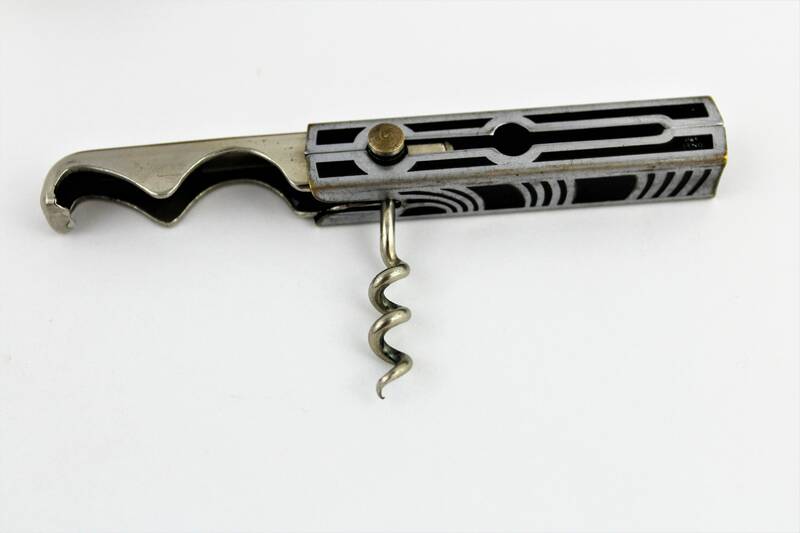 This is a very collectible corkscrew and will make a wonderful addition to any collection.